Kenyans could soon be relieved from daily purchase of expensive data bundles if Parliament passes a motion proposing that the government provides free Wi-Fi in all constituencies. The proposal by nominated MP Godfrey Osotsi, also seeks to end connectivity problems experienced in some parts of the country where private providers have limited coverage. Speaking at Parliament buildings on Wednesday, December 5, Osotsi argued that the country had transited to a digital era but lamented that connectivity problems had occasioned to what he termed as digital exclusion. "Internet is key in our daily lives...in fact, we are now in an era called the internet of things where internet is really going to drive our lives. In other countries, internet is used in managing issues like accidents through artificial intelligence. So we want to get to a level where this country is going to maximise the use of internet," stated Osotsi. Despite the number of internet savvy people steadily growing, the legislator said at least 74% of citizens had no access to reliable and affordable internet. This, he said, could be solved by structured partnership between the government and private sector in stepping up the infrastructure in the 290 constituencies. 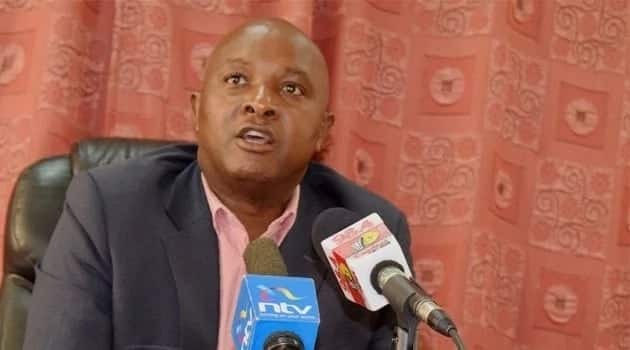 "This is not something new, it is already happening in Kiambu, Nyeri and Nakuru where the respective county government have partnered with private players to offer free Wi-Fi in those towns," the MP added. According to Osotsi, the proposal, if adapted, will also improve the uptake of government services that are currently accessible on the e-citizen platform. "What we are simply saying is that we should have it (Wi-Fi) all over the country so that people, even in the rural areas can have access to these services," stated Osotsi. Raped by Police While Seeking Asylum | Tuko TV.